Selecting toys for small dogs is like selecting toys for children because dogs all have different personalities. You need to pay attention to their interests as well as their general size. Small dogs are often high in energy and need a variety of safe toys to keep them busy. It is relatively easy to find toys well suited for your smaller dog. Many toys, such as any of the Kong toys, will have a dog size guide on the label you can follow. Rubber or rawhide toys are better suited for dogs that like to chew. Providing your chewer with a sturdy Kong or Nylabone could pay great dividends by protecting your precious furniture. Choose a chewing toy that your dog can pick up and carry in his mouth, but also is not so small that he can chew through it in two quick bites. Toys with squeakers tend to entertain many small dogs. Also, little dogs rarely outgrow more interactive rope toys that can be used for a game of tug-of-war. For some small dogs, toys larger than the dog’s head and shoulders can be difficult to play with. If your small dog likes to take on large prey, then try a large stuffed animal. These are easier to manipulate. 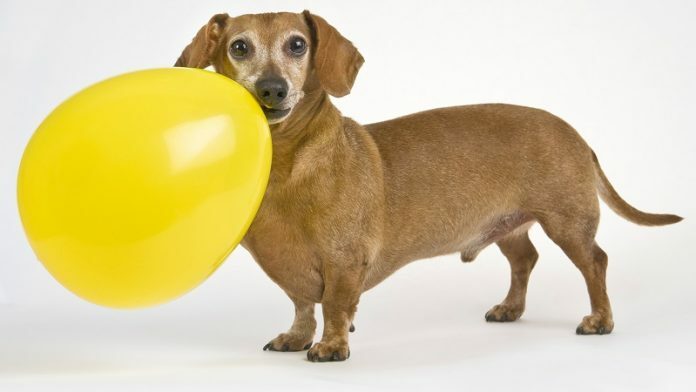 With a small dog, you have less risk that your dog may get a toy stuck in his throat. But you still need to consider the size of his mouth when choosing a toy. If he can swallow the toy without chewing, it’s too small and a choke hazard. Also, if your dog tends to eat particular types of toys, don’t give those to him.